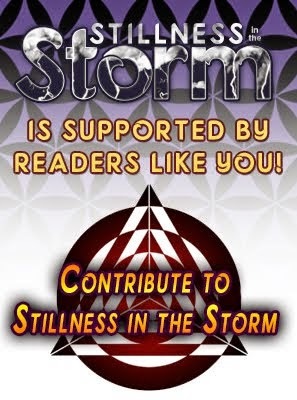 (Stillness in the Storm Editor) There are various occult (hidden) days of significance throughout the calendar year which have special importance. From March 22nd to May 1st is known as the Season of Sacrifice, which is a period of time when many false flag events have occurred. All of this underscores the importance of knowledge. What is hidden can only remain so if we never look. The illusionists trick can only be experienced as real if we do not gain awareness of it. Help others see the truth by sharing it with those who do not know. 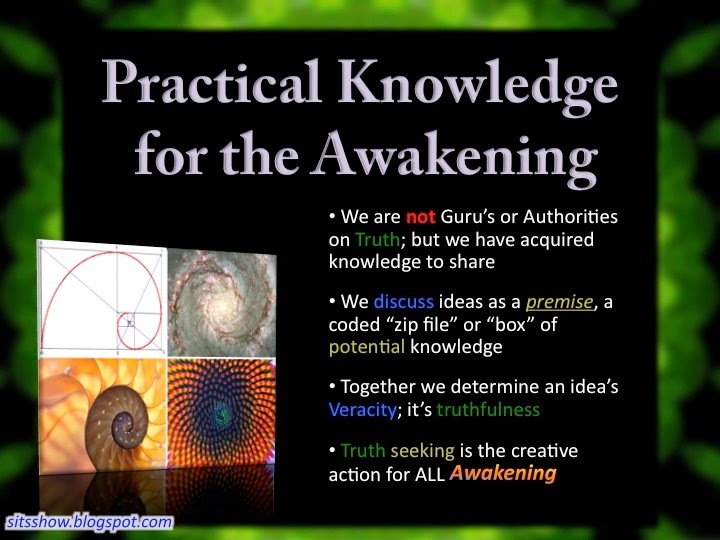 Knowledge is the only true immunization against fraud, deception and manipulation. 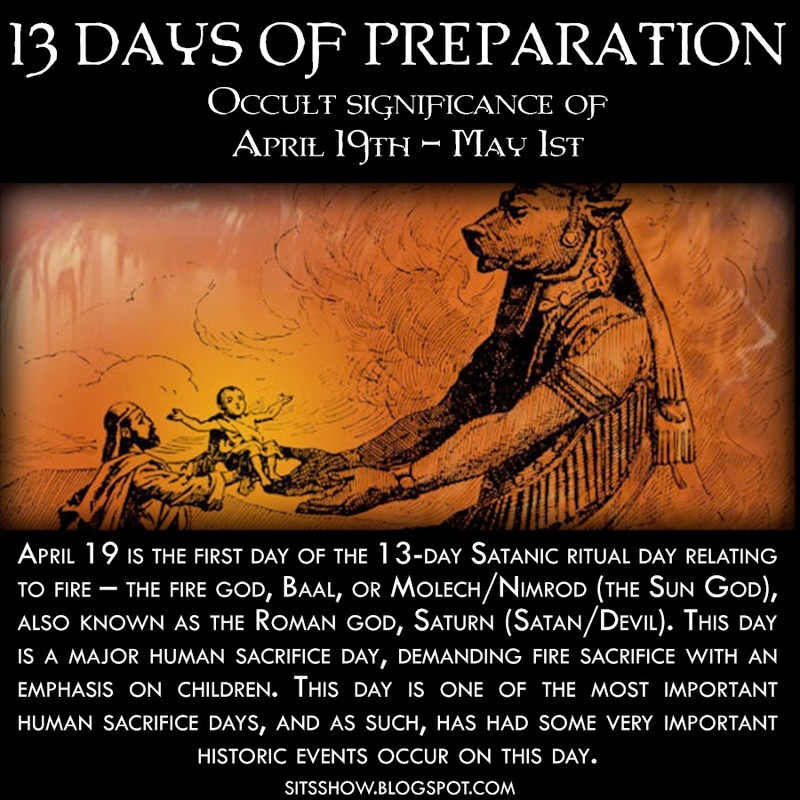 The 13 days prior to and including May Day (April 19th- May 1st) consist of fire sacrifices to Moloch (aka Ba’al, Nimrod, Saturn, etc. ), starting on April 19th. Knowing there are links of sacrificing children through fire to these pagan gods in our past, there is a disturbing coincidence of some mass murders committed in this time period involving fire and children. This includes the fire at the Branch Davidian Complex in Waco, Texas on April 19th, 1993, and also the Oklahoma City tragedy on April 19th, 1995. In fact, Timothy McVeigh cited the Waco incident in his reasons for committing the bombing at the Alfred Murrah Federal Building. Could these incidents all be tied together with the sacrifices to Moloch in the valley of Gehenna? The Oklahoma City National Memorial was dedicated on the same date of April 19th, 2000 as well to commemorate the victims and annual services are ritually held at the same time and day annually (9:02 AM). To add one more link into the mix, Tamerlan Tsarnaev (one of the Boston Marathon bombings suspects) was shot and killed on April 19th, 2013. The May pole dance features a male phallic pole with the couples dancing around in a circle (representing the female sexuality), and is yet another symbol of fertility for Mother Gaia. Theorists claim that the British Royal House of Windsor lights a Beltaine fire every year to honor the festival. It should also be noted that Adolf Hitler "committed suicide" on April 30th, 1945, and his remains were burned at his request, suggesting that he wanted to be a sacrifice to Ba’al as well.